Recently, I had the opportunity to go on tour with Fetty Wap. However, I did not perform, I did learn a lot from him as far as how to maneuver and navigate on tour. While the Brick Squad general has been branching out heavy with south carolina and ohio mobster’s, he doesn’t forget to appoint his lieutenant to keep in touch with local talent. 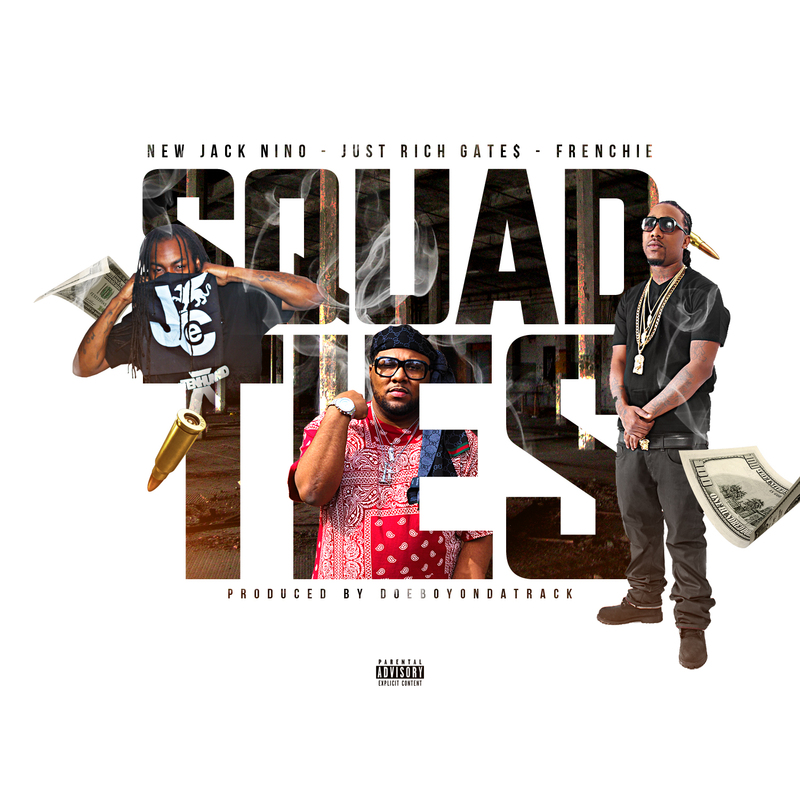 A new wave banger from NEW JACK NINO called SQUAD TIES featuring the one and only Frenchie and buzzing out artist Just rich gates. While the Bricksquad Monoply CEO has been pretyy low key for the past twelve month, the sqaud is still very active, branching out in every state. We lately have spotted D.Da$h during the breakfastclub incident with Birdman alongside London on the track and Ralo. NEW JACK NINO FROM OHIO RETURNS WITH A NEW WAVE BANGER CALLED SQUAD TIES AND RECRUITS BRICK SQUAD OWN FRENCHIE & JUST RICH GATES FOR SQUAD TIES RECORD.